Michael & Sun Solar will work with customers to provide excellent energy storage solutions to enhance their solar systems. Back-Up Power Keep all of you house up and running when there is a power outage. Self-Consumption (or Peak Shaving) Store your solar energy during the day for use at night, this not only provided the option of using your own stored energy but can offset the cost of energy during peak hours (whenit costs the most). 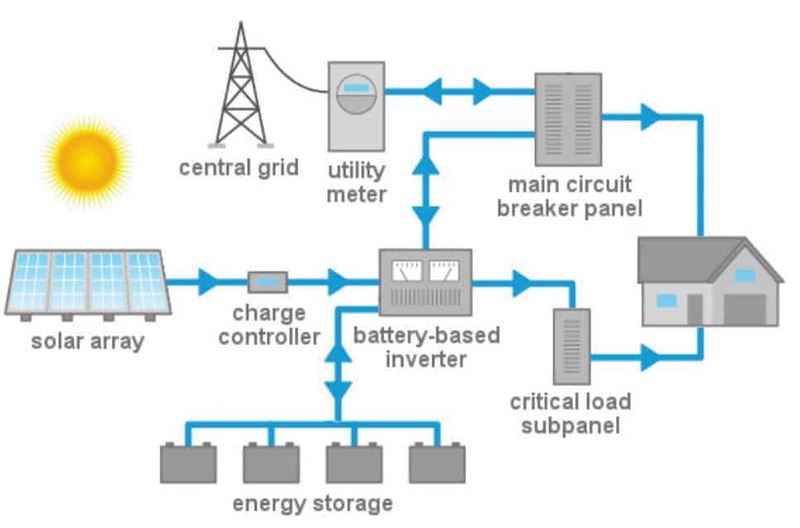 Increased Energy Independence With the right balance of solar and batteries a home can become virtually independent of the grid, true energy independence!